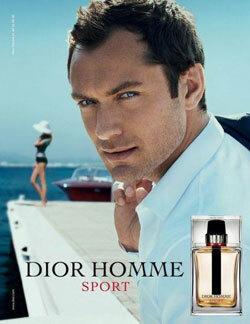 La maison Dior presents its new male fragrance Dior Homme Sport. A fragrance of invigorating freshness that retains the sleek Dior Homme collection, but away from the voluptuous classicism of his predecessor. This essence, created by perfumer of the French firm, Francois Demachy played with a sporting spirit that is surrounded by notes of ginger. His side is reinforced with citrus citron, Sicilian lemon and grapefruit, while his softer side is held in the cedar. To this we add a light touch of rosemary and lavender giving it a romantic tone. Dior Homme line in its four versions, is everything a man could have for the rest of his life.